A hint of the tropics with a dash of Thai influence... Hubby saw this and thought it sounded a lot like the strange sort of concoction a kid makes when they're home alone from school. You be the judge. "You will probably never again use vinegar in dressings once you try the 'witching drop of lemon juice.' Practically all famous chefs have discarded vinegar because lemon juice gives a more exquisite flavor. Learn for yourself what these chefs have proved." 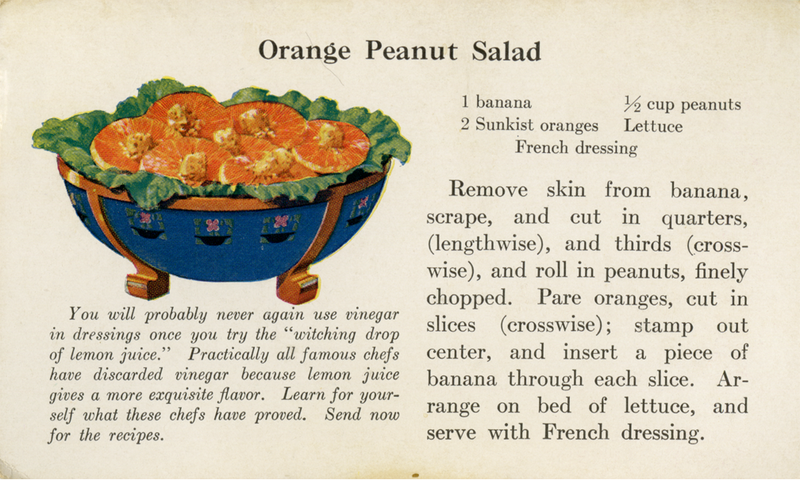 But the recipe calls for "French dressing" and lemon juice isn't listed at all. I have to chuckle.